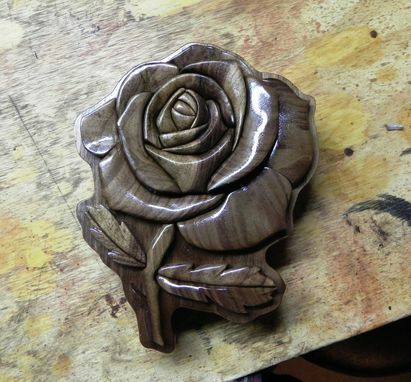 Intarsia-style rose built from black walnut to experiment with some new techniques. 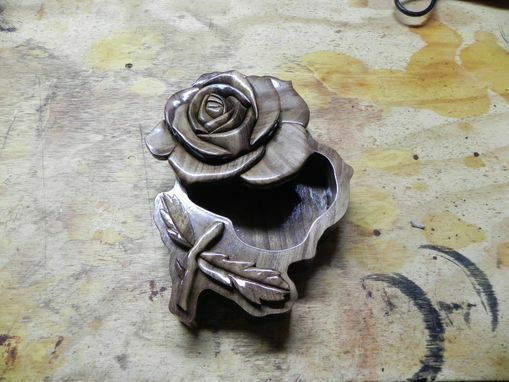 Parts were cut initially on a scroll saw, then shaped with a rotary tool. 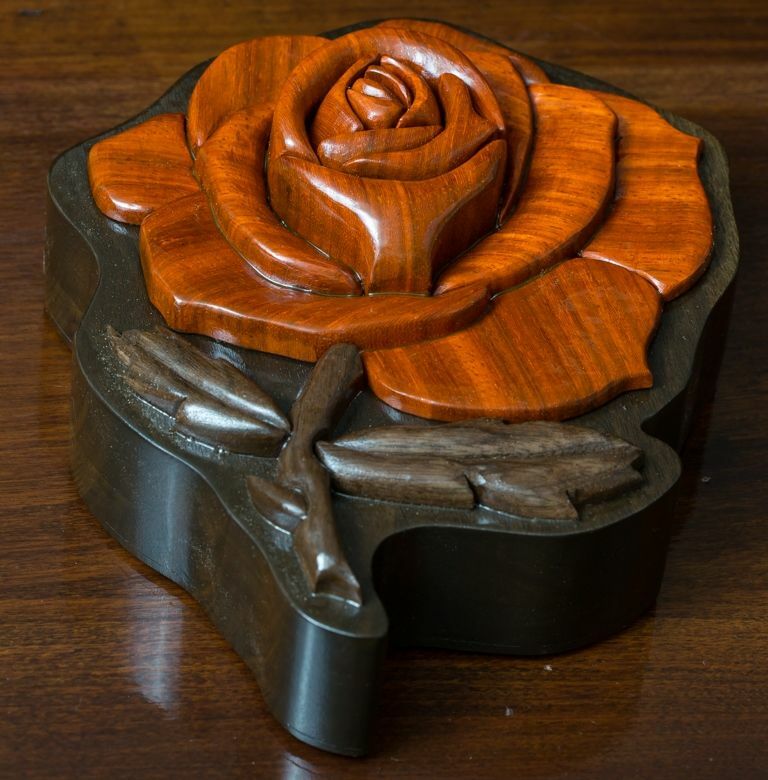 Each piece was cut individually to make the grain expand outward from the rose's center. 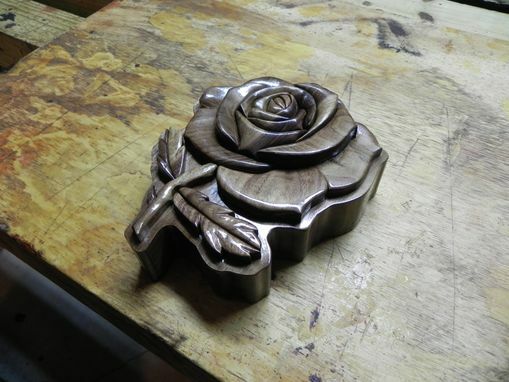 The base is a stack that was cut on a bandsaw and sanded flush.